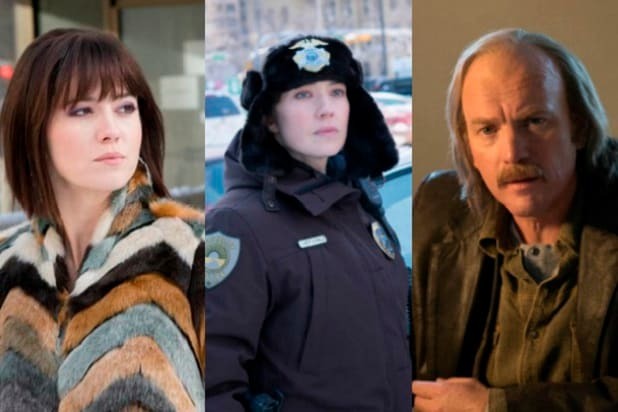 Mary Elizabeth Winstead didn’t have to audition for her role as the brilliant, impulsive Nikki Swango on “Fargo,” because the show’s creator, Noah Hawley, had wanted her on the acclaimed FX series for years. But not all of her collaborations have gone so smoothly. Winstead told TheWrap about an audition several years ago in which a director — one who had apparently never encountered a normal, healthy human being before — accused the North Carolina-born actress of eating too much Southern fried food. The star of such films as “10 Cloverfield Lane” said she remained calm and laughed it off because she already knew the director’s reputation — which wasn’t good. She declined to name him. “Going into it, I knew that this person was not the most stable person and was a little bit eccentric and also was a little bit of a misogynist,” she added. All in all, it was a role she was happy not to get. One role she was glad to get was Nikki Swango. She landed on the series after Hawley finally found a role that matched her — and what a role it is. Swango, a competitive bridge-playing ex-con, is the straw that turns the drink in the latest season of “Fargo.” She’s a shrewd criminal-minded optimist who persuades her parole officer boyfriend, Ray Stussy (Ewan McGregor) that he needs to take what he rightfully deserves from his parking-lot magnate brother Emmit (also played by McGregor). It might just win Winstead an Emmy — which should make even the dumbest directors think twice before asking her anything stupid. Watch the video above, and come back next week for more of our interview with Winstead.